Natural plant supplements have been used as medicine for millennia. With millions of products and varieties to choose from, it can be difficult to identify both the most effective and most relevant supplement for your needs. 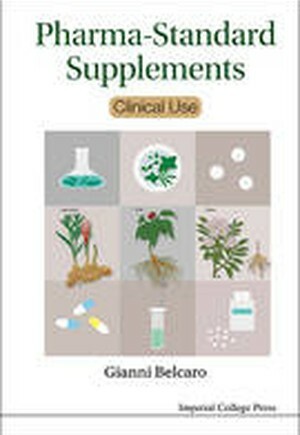 This book provides a reference for consumers and practitioners, with a carefully compiled list of pharma-standard natural products proven to prevent diseases or improve recovery.Split into two sections, the first provides an alphabetised directory of the most common and effective natural plant supplements, with beautifully illustrated pictures of the plants in their natural form. The second section provides guidance on testing, individualised treatment, and self-usage of pharma-standard supplements, based on real-life experiments and human observations.Through careful investigation of the existing market, specific criteria have been created to ensure only those supplements which have shown results are included. Additionally, as most supplements can be produced and used in countries where 'industrial' drug distribution is limited and costly, it gives people increased access to alternative medical treatment.This project is currently the first of its kind, created to establish a new field of supplements defined by pharmaceutical standards. It is perfect for pharmacists, healthcare providers, and those interested in increasing their knowledge of new standards for natural remedies.